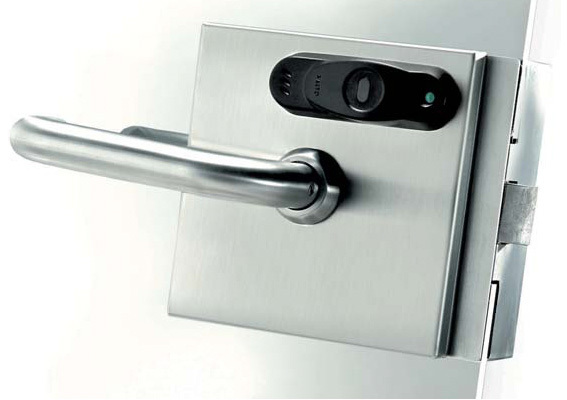 The XS4 glass door lock’s exclusive design makes it compatible with a wide range of commonly used glass door designs, including those already fitted with a built-in lock. It’s unique ‘sandwich body’ design also makes for easy installation without having to replace the door. ID technologies available: i-Button, DESFire, DESFire EV1, Mifare, Mifare plus, Mifare Ultralight C, Inside Picopass, LEGIC Prime, HID iClass, SKIDATA. Dimensions: 148.5mm x 135mm x 38.5mm. Door thickness compatibility: 8mm to 12mm. Sandwich body design for an easy installation. Mortise lock incorporated in the electronic escutcheon. Available in satin stainless steel finish.